Retirement communities in Florida are plentiful. 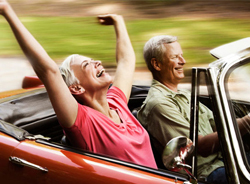 With the warm climate all year long and the many waterways and lakes with all the natural beauty of the area, Florida is one of the most sought after areas for retirees nationwide. 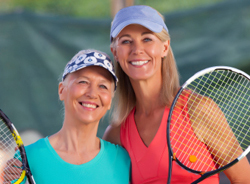 The best Florida retirement communities are ones that let you enjoy an active lifestyle while bringing all the comforts of home to your back door. 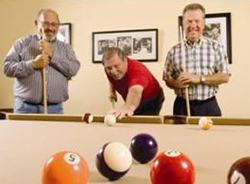 Peace and tranquility as well as community and fun with your neighbors allows you to enjoy retirement to its fullest. One of the greatest benefits to Vienna Square is that you own your home. Whether you choose a single-family home or one of our maintenance free Villas, you will enjoy being a homeowner and living in comfort. Many Florida retirement communities offer the comfort but without the pride in owning your own home. We believe that part of being active and living the rest of your life happy includes owning your own property and feeling like you have something of value to show off and take care of. That is also partly why Vienna Square is considered one of the best retirement communities in Florida. Should you choose to invest in a maintenance-free villa, you will have the opportunity to have your lawn mowed and landscaped with a financial reserve for roof replacement and painting. You can also have laundry service and weekly housekeeping as part of our a la carte services. Plus, you will receive cable television, a home security system and the use of all our amenities and more as a resident, regardless if you opt for a home or villa. Our clubhouse is home to a ballroom, a movie theater, a fitness center and so much more. We offer lawn service, laundry service and housekeeping services for you to choose from. We even have social activities and events happening on a regular basis. You are more than welcome to join in any time, or take a break and enjoy the comforts of your home. This is what retirement communities in Florida should be like. A way to cater to your active lifestyle while still providing you privacy when you want it most. Our Continuing Care Campus and Secure Care Pledge give you the comfort of knowing you will be taken care of when you need us most. We provide Assisted Living, Skilled Nursing, Memory Care and Short-Term Health and Rehabilitation is all a part of the most comprehensive commitments by any community anywhere. We will provide an unprecedented range of services to our residents so your worries are minimized. Has this commitment been extended by other retirement communities in Florida? Contact us today to learn more about Vienna Square, our homes, and amenities. 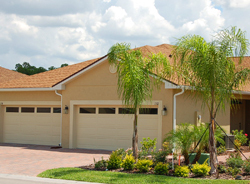 You will be please with the options you have in one of the best retirement communities in Florida.